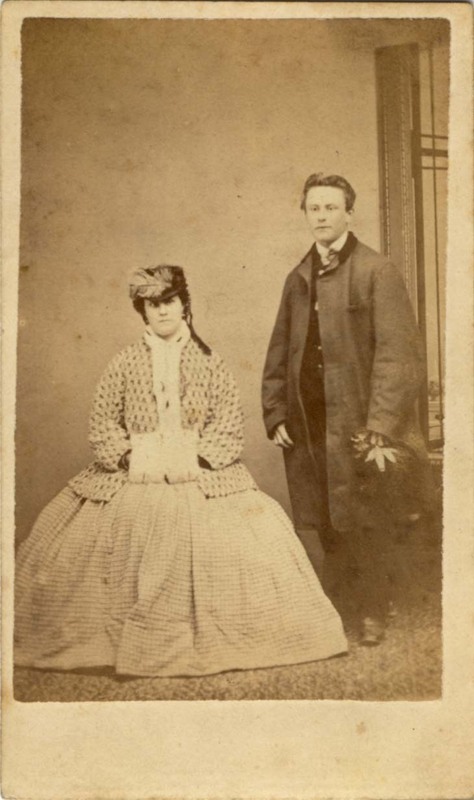 [ABOVE] A carte-de-visite portrait of a young couple, photographed by Daniel Blagrove of Lewes in the mid 1860s. 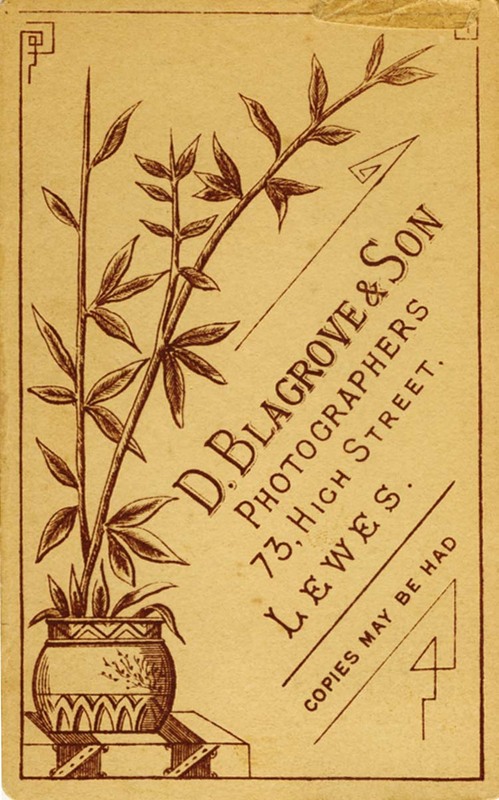 [BELOW] The reverse of the carte-de-visite shown above. 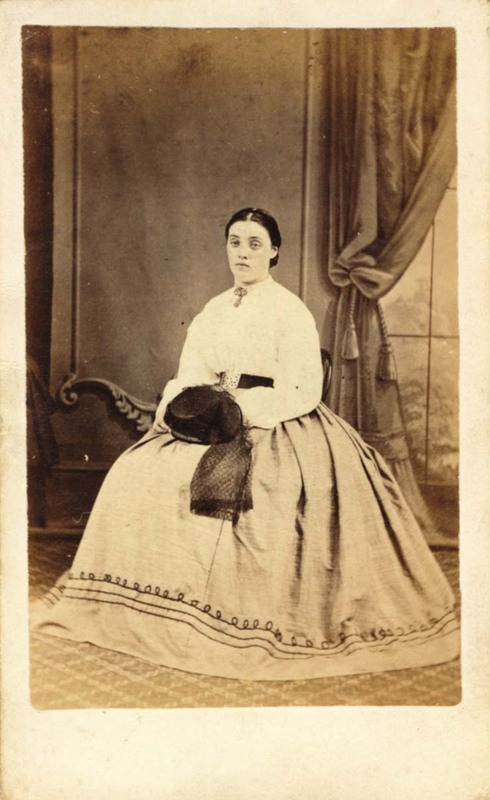 [ABOVE] A carte-de-visite portrait of a seated young woman photographed at one of the two studios operated by Daniel Blagrove around 1867. 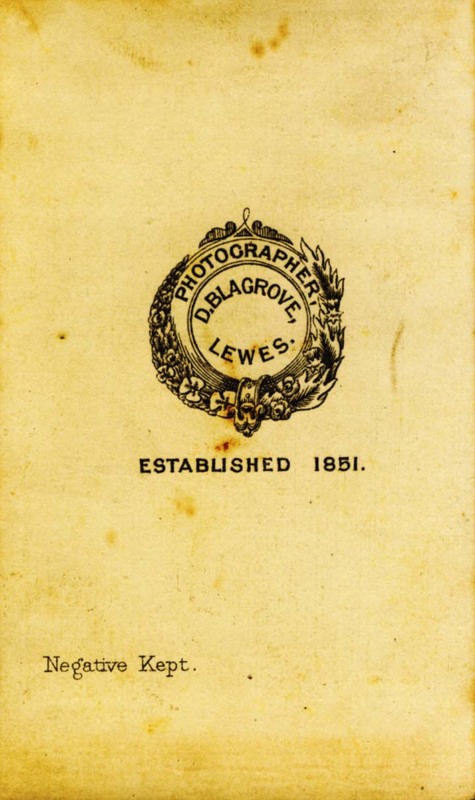 [BELOW] The reverse of the carte-de-visite shown above. 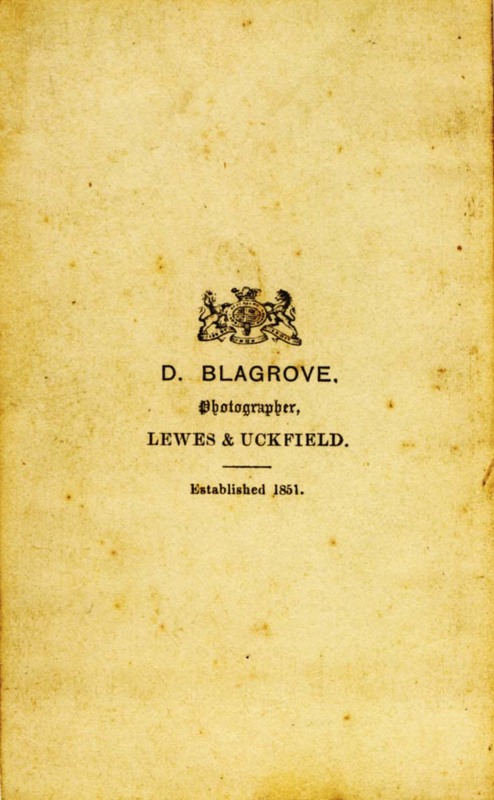 Daniel Blagrove's branches in Lewes and Uckfield are mentioned. 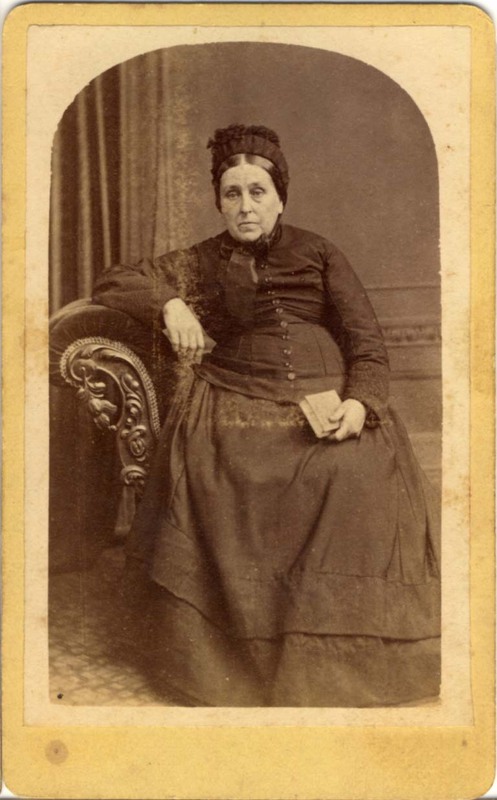 [ABOVE] A carte-de-visite portrait of a seated woman holding a book, photographed by Daniel Blagrove of Lewes around 1880. 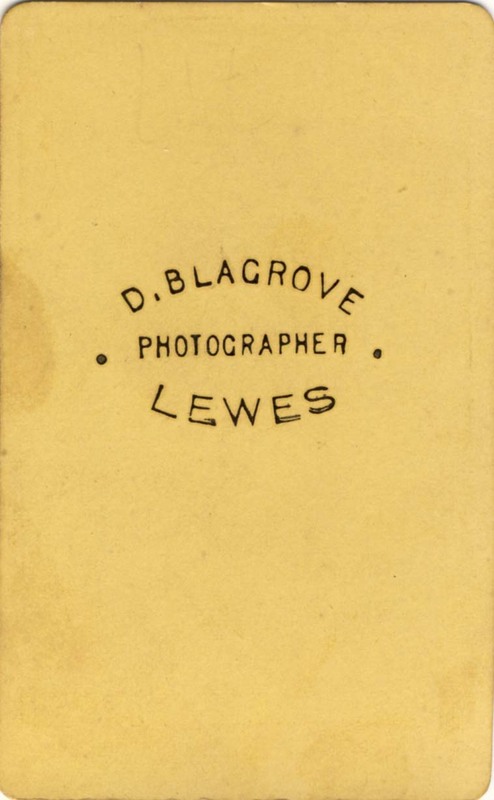 [BELOW] The reverse of the carte-de-visite shown above. 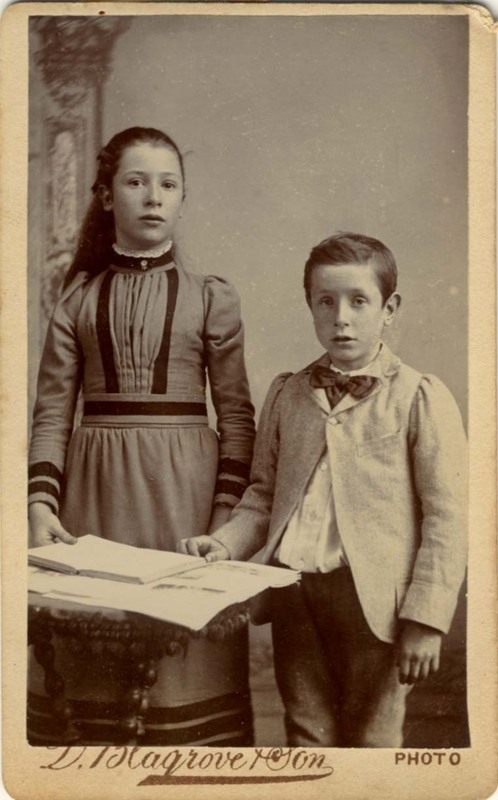 [ABOVE] A carte-de-visite portrait of a girl and boy standing by an open book, photographed at the studio of Daniel Blagrove & Son of 73 High Street, Lewes around 1893.